The Central Drug Authority presented its annual report for the period of 1 April 2014 to 31 March 2015, describing the activities and achievements of the Authority and its key support structures in implementing the National Drug Master Plan 2013-2017. The Central Drug Authority's mandate was derived from the Prevention of and Treatment for Substance Abuse Act No 70 of 2008, as well as the National Drug Master Plan. In dealing with the problem of substance use and abuse, the support structures were advised to apply the integrated demand, supply, and harm reduction intervention approach recommended in the National Drug Master Plan. South Africa had the highest drug and substance abuse problem compared to other countries. The key Institutional Characteristics of the National Drug Master Plan were highlighted. These involved Authority's Activities and Achievements, it's strategy on demand and supply reduction, and seizing and policing throughout South Africa's borders together with SAPS. Key recommendations were CDA's request in allocation of adequate resources; ensuring increased quality substance use related treatment; facilitating evidence-based & comprehensive implementation of the NDMP by -for example - implementing periodic , methodologically comparable comprehensive, Pro National Population Household Surveys on Substance abuse; strengthening National, Provincial & local CDA support structures; harmonising substance use related legislation to a greater extent; and reviewing the Prevention of and Treatment for Substance Abuse Act (Act 70 0f 2008). Members said the CDA's presentation was late and asked why the CDA took so long to produce the report. Members said it was impossible to deal with the drug abuse problem without talking about gangsterism in South African communities. Drug lords ran these communities, and made use of really young children. The police were doing a wonderful job, but were also being attacked by these gangsters. Members also agreed that those who supplied drugs, and illegal alcohol must also be looked at. Members called on the Departments involved to do something as young South Africans were suffering due to drug use and abuse. 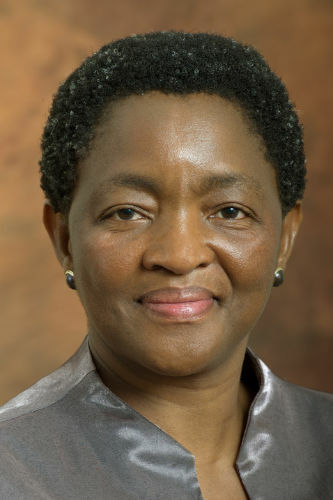 Minister Bathabile Dlamini said South Africa was a growing nation and proper programmes were needed; money was needed. Social workers were supposed to deal with most of these issues. The Department also learnt from other countries. Brazil dealt with drug dealers with a unique system. South Africans did not realise the damage being done by drugs in the country. She used an example of a successful programme in Eldorado, where the department worked with social workers. A new police station was also built that focused only on drugs. She felt they were just pep talking to school kids. Who was taking the pep talk home to the parents? South Africans must pull up their socks and do something because this problem started in the primary schools. Even parents took money from drug lords, when promised school fees for their children. The Department had no budget for December and that was when all these things took place. The Chairperson made a special appeal to Members, especially as they came from different political parties. Members were a national department and if they did not do something about drugs, they would have no votes because there would be no people to vote. She had been in Brazil many times, where police could not go because drug lords had taken over. If Brazilian local police wanted to enter the area, they had to first ask the drug lords for permission. Now it was also happening in South Africa, and before it was happening in Mitchell's Plein. As Chairperson she was prepared to go to the highest office on this matter. Committee Members were the oversight, that the Committee had the same responsibilities as the implementers. What were Members doing? Ms S Tsoleli (ANC) announced that Minister Bathabile Dlamini would be joining the meeting shortly. Mr David Bayever, Deputy Chairperson: CDA, presented the Annual Report of the Central Drug Authority (CDA) for 1 April 2014 to 31 March 2015 describing the activities and achievements of the CDA and its key support structures in implementing the National Drug Master Plan (NDMP) 2013-2017. The key CDA Institutional Characteristics of the NDMP. In dealing with the problem of substance use and abuse, the support structures and agents were advised to apply the integrated demand, supply and harm reduction intervention approach recommended in the NDMP. South Africa has the highest drug/substance abuse compared to other countries. There was an increase in South Africa with regard to abuse of subscription drugs being used, also adding the role of technology and our young people ordering drugs online was on the rise. The Department of Social Development (DSDF) could not handle this situation alone, a collaboration was needed. Activities and Achievements of CDA. Mr Bayever said substantially more intense work had been done, compared to previous year. The CDA had facilitated the strengthening of the following support structures. access to quality treatment. On the building of treatment centres, the DSD also secured R150 million from National Treasury to establish 4 public treatment centres in provinces that did not have these facilities. hosted the Substance Abuse Treatment Symposium in Kimberly. That CDA also organised and hosted the Cannabis Round Table. Maintained 9 PSAFs established 238 LDACs, further stating that (audit is to be conducted). Monitored implementation of resolutions of 2nd Biennial Anti- Substance Abuse Summit Developed; Monitoring the implementation of the National Anti-Substance Abuse Programme of Action in 9 National Government Departments. Awareness among young people about the problem of substance abuse. Creating partnerships with relevant local, regional and international agencies e.g. SANAC and UNODC and Colombo Plan training of stakeholders. CDA's strategy on Demand Reduction. CDA conducted substance abuse festive season campaign. Also monitored the implementation of the programmes of action (POAs) of National Departments (DSD). Conducted wellness programme on substance abuse in which 22446 employees participated (DCS). CDA hosted dialogues with 600 children in 3 schools in rural areas in the Free State during Child Protection Week to teach them about problems related to substance abuse and government services available to them (DOJ&CD). Intercepting 65 kg of crystal methamphetamine valued at R19.3 million at OR Tambo International Airport. Executing 164 investigations projects, 54 in the illicit economy (enterprises set up through criminal activities) and 106 in the legitimate economy but involving illegal activities. Also conducting 17533 disruption and detection interventions, resulting in 2606 detentions, 2726 seizures and 27 arrest. Seizing through border policing (SAPS). Crystal methamphetamine ("tik-tik") (637,757 kg 40 litre in liquid form). Ecstasy (1,492 tablets and 0.500 kg powder). CDA's request in allocation of adequate resources. Ensuring increased quality substance use related treatment. Facilitate evidence-based & comprehensive implementation of NDMP by for example. - Implementing periodic, methodologically comparable comprehensive, Pro National Population Household Surveys on Substance abuse. Strengthening National, Provincial & local CDA support structures. Harmonise substance use related legislation to greater extent. Review Prevention of and Treatment for Substance Abuse Act (Act 70 0f 2008). Review the structure of CDA. Ms L Van der Merwe (IFP) welcomed the report but complained that it was very late and said it was problematic that the report was being presented and dealt with at this stage when it should have been presented earlier. The report was old; the Committee should be dealing with a 2015/2016 report but it was instead dealing with the 2014/2015 report. She explained that it was problematic because it hampered the constitutional obligation of the Committee with regard to implementing its oversight and holding the Department accountable and secondly, it breached the prevention and treatment of drugs act. She asked why it was being presented to the Committee so late. She emphasised the importance of the Committee’s interaction with CDA and that it was crucial to meet with the CDA regularly because drug and substance abuse was a massive problem in the country, therefore regular updates were required in order to gauge progress being made in fighting against substance abuse. She made an example of the severity of substance abuse in the country by discussing her experience in Mannenberg, and how the community was held ransom by drug lords and children could not play outside or in the park because of the dangerous environment and the possibility of being shot. She also spoke of her experiences in Parow, where children were sniffing glue and were very violent and aggressive. She congratulated the CDA on their interventions but felt that this problem of drugs and substance abuse was not being treated as a national crisis or with enough rigour. She highlighted the fact that CDA had a challenge of inadequate resources and the fact that it could only treat 1 in 18 people and asked what CDA was doing to make National Treasury understand this crisis in order to receive more resources and money in order to be empowered to fight this battle. Ms van der Merwe also asked how regularly the CDA met with other departments, especially the Department of Police (DOP), and what strategy was in place to collectively deal with drug cartels and gangs. What was the outcome of the Cannabis round table discussion, and was any further research being done by the CDA into using it for medicinal purposes? She asked what the status on the household survey on substance abuse was as the figures could better inform the approach and intervention done by the CDA. It seemed that the other levels of government were not very supportive of the master plan against drugs and she asked how the CDA was increasing its oversight, monitoring and evaluation in order to ensure that all parties were on board and playing their role in the fight against drugs. Ms E Wilson (DA) thanked the CDA for the report and referred to page 6, the key CDA institutional characteristics. She highlighted her concern of the CDA not having any real power or authority to legislate or take any action since it has only been mandated to advise. The CDA is “the primary SA body statutorily mandated to advise on”. Ms B Abrahams (ANC) referred to page 18 that discussed treatment centres being built, and asked in which provinces these centres were. She also asked the success rate of closing down unlicensed liquor outlets. and what was being done about the location of liquor outlets that were adjacent to churches or schools. Mr S Mabilo (ANC) was deeply encouraged by the report and was hopeful. He highlighted the fact that drugs and drug abuse were an international problem and that South Africa should be proud because it was interested in solving the problem and doing something about it. More focus was needed on the production of drugs as it would help in solving the problem. He recommended that the treatment centres that were not completed be accelerated in order to promote access. He was concerned about the fact that treatment centres were not accessible, which was problematic. He made an example of the Christian Treatment centre, which costs R50 000. It was not acceptable that treatment centres could only be accessed by those who could afford it. He echoed Ms Abrahams concern of liquor stores being situated close to churches. He understood that there was legislation around these matters but emphasised the need to look into it. he stated that the Northern Cape and Eldorado, where concerns were raised, needed to solve this problem with relevant stakeholders. Ms Tsoleli was very concerned about the role played by the provinces, especially that of the Western Cape which faced the highest drug problems. She spoke about problems of substance abuse by young children and public drinking, which she found very concerning and problematic. She informed the CDA that some of the provinces did not have representatives in the CDA. The broader society needed to be involved in this fight against drugs, and asked whether churches and civil society organisations were involved. She was also concerned about the number of night clubs and taverns surrounding higher education institutions and a said lot of them were owned by foreign nationals, she asked how foreigners could do this since legislation did not allow foreigners to own liquor licenses, and asked that it be looked into. The Chairperson challenged the Committee, and asked what they would do as a Committee in this fight against drugs, it could not just end with discussions. More needed to be done and the Committee needed to go above and beyond. Ms Masango referred to the recommendations of the CDA on page 29. She was interested in the bullet that spoke to implementing periodic, methodologically comprehensive national population and household surveys on substance abuse. She wanted to hear from the committee with a clear recommendation moving forward. She asked whether these recommendations were being implemented in 2016 and who the stakeholders that were not complying were. The Chairperson asked the Committee to think outside of the Parliament building. She wanted Committee Members to think harder about the issue at hand. She wanted Committee leadership to find a way forward as a Committee. Ms H Malgas (ANC) was concerned with the role of the police. she was proud of the police and commended their good work in the confiscation of drugs. In Coloured areas, such as the Cape Flats, the concern was that gangsterism and drugs were treated as one crime. She asked how it could be proposed to the DOP that these two issues be separated. She explained how at the taxi rank children were being sold drugs in the form of cigarettes. She asked how far the CDA was with their annual report. There were a number of departments in the CDA’s report and asked what the CDA would do to ensure the inclusion of all departments in the report. She asked the Minister for an update on the Committee’s previous recommendation to form an entity solely focused on combatting drugs. Ms N Sonti (EFF) said “where I live in the informal settlement, they are also there. They don’t close; when you wake up Saturday morning or during the weekend, someone has died. I think there’s alot of work to be done. The police do their work but they struggle as well because they get killed. The people getting arrested are the drunk patrons, not those owning taverns or selling the alcohol”. The Chairperson asked the CDA if they knew where these drugs were coming from. The people selling the cheap alcohol and drugs must also be looked at. Mr Bayever said the recommendations were based on their own business plan, which they then send to the Department, which determined the budget and resources available. The CDA did not lack manpower, it was more a lack of resources; the more they received the more they could do and achieve, and the more effective they were. He appealed to the Committee to advocate to National Treasury on their behalf. More research was needed in order to understand the drug problem, which would inform treatment, especially since drugs were laced with other drugs and substances. There was cooperation with other departments, some departments were active and supportive in fighting against drugs, and some were absent or had not identified their role. The CDA was busy with educating departments and informing them of what their role was and advising and directing them on how to move forward and play a more active role in the fight against drugs. The outcome of the Cannabis round table discussion was a better understanding of what the public wanted. However, the CDA could not make any recommendations on the medicinal and recreational use of Cannabis because of other acts and departments - making any recommendations would have been premature. Other issues needed to be resolved before the CDA could make any recommendations or adequately debate it. The North West was currently conducting research on the medicinal use of Cannabis. The CDA was aware of their recommendations around the patients who made a Section 21 application for the medicinal use of Cannabis. The report was an ongoing fight and challenge because of the departments not submitting their reports timeously. They were always delayed by signatures required from the DG or Minister. The CDA still needed to find a way to overcome this challenge. He emphasised to the Committee that the fault did not lie with the CDA but the departments. He apologised to the Committee and explained that the CDA was trying to rectify this. The country will never be able to deal with all the cases of drug abuse in the country, which was why the CDA was shifting the focus of intervention in the community as a whole. He explained the Colombo plan process and how it focused on equipping the community to deal with the problem of drug abuse and how to help victims and recovering drug addicts. Substance abuse was not high on the Department of Health’s (DOH) list of priorities, the CDA faced a lot of resistance from the DOH. The treatment centres were in the Eastern Cape, Northern Cape, Free State and Limpopo. The Eastern Cape treatment centre was already operating. Drinking was a societal issue that needs to be addressed and improved at household level. There were efforts to limit alcohol advertisements in order to take away the enticement of drinking from a young age amongst young people. Ms Connie Nxumalo, DDG: DSD Social work, asked how else can they afford access to treatment. This issue was really a challenge. One could not open a treatment facility and make it a business without letting the CDA know. Clients committed through the court turned out to be clear. Hospitals were dealing with patients who were going through detoxification. 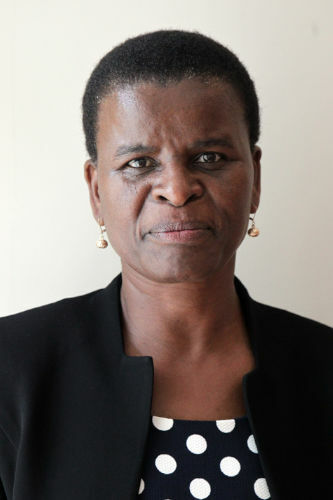 She suggested that CDA meet with and present their plan to the Premiers, COGTA and SALGA because provincial forums did not have the power or authority, the representatives still had to go through a number of channels to obtain approval or sign off. North West had two treatment centres, one built with their own funds and the other with a conditional grant from government. There was a need to subsidise privately owned treatment centres to ensure and increase access. The report was with the editors and would soon be given to the Minister for approval. Mr Bayever said ordinary practitioners would have to know what they were doing because doctors did not know what they were dealing with. More education was needed around dealing with substance abuse from early stages in tertiary education. This was important in order to equip practitioners and doctors with the right skills and expertise to deal with substance abuse victims. A huge challenge was knowing what to treat as many of the drugs were laced with a number of other drugs or ingredients. A Member of the CDA board in Connie's section, said the CDA needed to have some sort of power and authority. The Department needed to look into giving CDA more power and authority, previously it was looked into but nothing came of it. A lot of delays were due to the fact that they depended on other people and could not operate independently. Ms Wilson supported this. she asked what action the Minister had taken to ensure that these departments complied to this Act since the CDA had no power or authority to do so. She also asked about the Limpopo treatment centre that was completed 18 months ago yet had still not been opened, why it has not been opened, the community desperately needed it. Minister Bathabile Dlamini asked the Committee to invite all Members to bed accountable moving forward. Right now the CDA was accountable. We allowed the department of health to do a study when we had already done with one. Alcohol and substance abuse responsibility was given to the Deputy Minster. The reason members of the cabinet started taking the report. After we started taking reports back to cabinet, they responded promptly. She suggested that reports be taken to Cabinet and that it be stated that departments were not complying and delaying the process of intervention. On the Limpopo treatment centre, when the Department gave money for a project, they had to make sure that it gave resources to the right programmes. There was currently a problem with absorbing social workers. South Africa was a growing nation and proper programmes were needed; money was needed. Social workers were supposed to deal with most of these issues. The Department also learnt from other countries. Brazil dealt with drug dealers with a unique system. South Africans did not realise the damage being done by drugs in the country. She used an example of a successful programme in Eldorado, where the department worked with social workers. A new police station was also built that focused only on drugs. She explained the problem was that the Department did not have the money for programmes and could not afford staff i.e. social workers. South Africa did not understand the damage being done by drugs, which was why there was a poor response to the matter. Minister Dlamini also said she felt they were just pep talking to school kids. Who was taking the pep talk home to the parents? South Africans must pull up their socks and do something because this problem started in the primary schools. In Pretoria, a small packet looked like it contained she bet (sweets). She said even parents took money from drug lords, when promised school fees for their children. She argued that this situation was not about research only. The Department had no budget for December and that was when all these things took place. The DSD always piggy backed on the Department of Health for transport. There was a suggestion to take the programme back even for three months. This issue was important to her and she would never use it to score political points, but was willing to do whatever it takes. She asked the Chairperson to set a date on the matter to be tabled to Cabinet. The Chairperson made a special appeal to Members, especially as they came from different political parties. They were in a ticking bomb. She was concerned by the disaster caused by drugs in the country. There was this notion that there was no money. She asked Members to follow a political route, and not all politicians were equal. She had not heard it said that the Lottery was sponsoring towards the fight against drugs. So how serious was the Committee with regard to this indaba. She stated that communication needs to be made to victims of drug abuse that the government is very serious about this issue. The Chairperson informed the Minister that she had visited Brazil many times, and there were areas that the police could not go because drug lords had taken over. If Brazilian local police wanted to enter the area, they had to first ask the drug lords for permission. Now it was also happening in Mitchell's Plein and other parts of South Africa. As Chairperson she was prepared to go to the highest office on this matter. Committee Members were the oversight, that the Committee had the same responsibilities as the implementers. What were Members doing? Ms Wilson asked the CDA to enlighten the Committee on their financial situation. She requested that a financial report of the CDA be made available so that the Committee could adequately perform oversight.